We shipped the Thing Uno’s out today, so the closed beta group should receive them shortly. Let’s keep this thread for experiences, example codes, questions and everything other. To get you started we made a quick start guide over here and you can find a LoRa library and example code over here to get you started. Is the Deloitte gateway up? Sodaq Tatu + LoRa Bee + GPS Bee, how to set up connection? How can an operational node be triggered to join a different network? Oh, almost forgot: we are collaborating with 3d Hubs for a awesome 3d printable enclosure for your Uno! Order it on 3D hubs over here, or download it and print it yourself! Or remix it and share it with the rest. Compiled the test sketch, all working. Any gateway in Rotterdam, where i can (try to) connect to? As the Kickstarter shipping date for the gateway is set to 9 months from now, i’ll go with the Multitech mCard-LoRa card and a Raspberry Pi for now. @Michael Cool! We have ours up (sometimes…) in Rotterdam (near marconiplein) where are you based? So if you have any issues with the Uno (or any other arduino board) this might be it. I doubt if there are any beta developers out there that have rootless activated on El Captain. But yeah, this can be a problem. Probably you guys already know that the getting started manual needs some heavy rework. Not that there are errors or so, but for the beginner the learning curve maybe too steep. I would deliver the devices working out of the box, so no flashing of software needed. Add an extra push button on the PCB so testing is possible without connecting wires. In my view the time from unboxing to activation of its primary function should be as short as possible, preferable not more then a few minutes. That’s it for now, keep up the good work, and congrats with the amazing kickstarter start! Thanks. Good feedback and certain point of attention. The points you mention are definitely on our list as well, If you like you can add your input on the quick start guide! We are planning to ship it with a TTN default setup + demo application. That way it would indeed work out of the box. Thanks for the compliments, let us know how you like it after a few test setups! Add a button to the PCB; when pushed, a ping message is sent to the demo server; if the network replies, turn on the LED (pin 13? ); otherwise keep blinking incidentally. I’m sure we’ll be able to spend some time figuring out a great getting started experience. I’m in Portland /Rhoon , just to the south of Rotterdam, so marconiplein will be to far away i’m afraid. But i got the MTAC LoRa card + antenna in today, so i hope to have a working gateway this weekend. Ok, i think the gateway is working. Not sure if everything is set up correctly though, as i can’t find it on the /gateway page. Also, the Uno is sending the first packet ok, but the next buttonpress results in a “busy” message from the serial monitor window. Does that mean it runs? Cant seem to TX through serial monitor (no response on any command). Is there test code for that? Anyone know how and where can i check if my node is connected to a gateway? 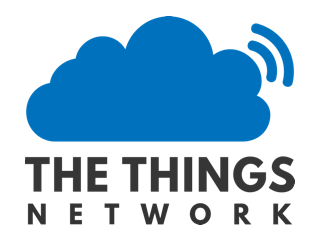 The current implementation of The Things Network does not support ADR (adaptive data rate ) nor downstream messages. Of course this will be supported in the new architecture. For now, I would suggest to switch ADR off (“mac set adr off”) and send unconfirmed messages (“mac tx uncnf 1 AABBCC”). Both can be changed in the included library (LoRa.cpp). This will prevent retransmissions and automatic decrease of the data rate. You can change the data rate manually by using "mac set dr " (0=SF12, … ,5 = SF7). In the library I changed the: (“mac set adr off”) and (“mac tx uncnf 1 AABBCC”), like Thomas mentioned. But whatever I fill in for the node_eui, I can’t find my messages. I noticed that all the messages displayed in thethingsnetwork.org/api/v0/nodes/ only contain 8 digits, while the EUI I got returned from the RN2483 has 16, but even only using the last or first 8 doesn’t work. Can someone tell me how to find my messages based on the above info? I assume you have a gateway nearby? You should look for 02012400 in the API. node_eui is a mislabeling in the database, it should be changed toi devaddr. I set adr to off and type to unconfirmed, which were not the default in the sketch (a bit silly to provide it with non-compliant settings). Are you connected to a gateway? The “join: ok accepted” message unfortunately does -not- tell you, if you have connected to a gateway. I’m also experimenting with www.loriot.io .For now it looks to be the only one who supports confirmed messages. Problem with them is that every transmission includes a frame counter, and after modifying the sketch or reconnecting power, the frame counter is set to zero, and messages do not show up anymore. When I run the poly pkt forwarder manually and press the button, I immediately see PUSH_ACK at least, so that would suggest I have a connection. But at least one messages seems to have gone through, but still nothing showing on the API side.